Nate came through our area this morning. 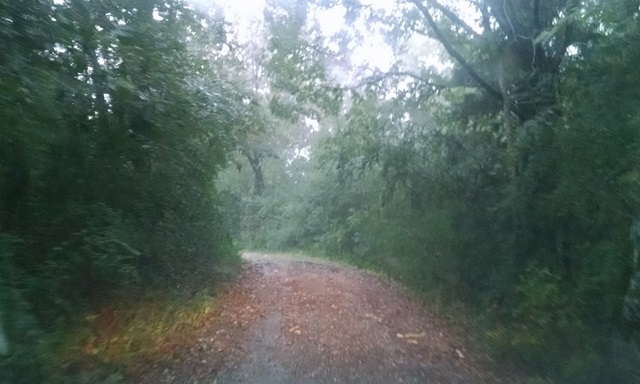 The winds actually started picking up about 4:30 this morning and the heavy rains began. However, the winds never were really severe. We did get pushed around a bit as we were driving home from church and had some limbs down and one tree that needed to come down anyway. We had a good deal of rain, but never hard enough to cause the drive way to wash. All is well in our area. It was really great to be back in our home church at Lester Memorial UMC. The morning worship was wonderful as was being in our Sunday school class. We were also glad to have the NOMADS who are working at Camp Sumatanga this period visit with us at Lester today. There are only two couples there this time, but Roger has been dropping in as well as another local NOMAD. We are going to try to go join them for devotion in the morning before we go shopping for our ladies. Hope everyone has had a great weekend. Previous Previous post: Here Comes Nate!